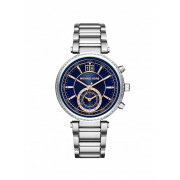 Sporty and stylish – this two tone watch is ideal for any woman. 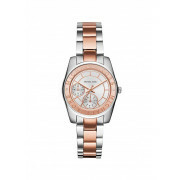 In plated silver, with rose gold it will go great with all jewellery and outfits, and the soft sheen of the mother of pearl face really sets it off. 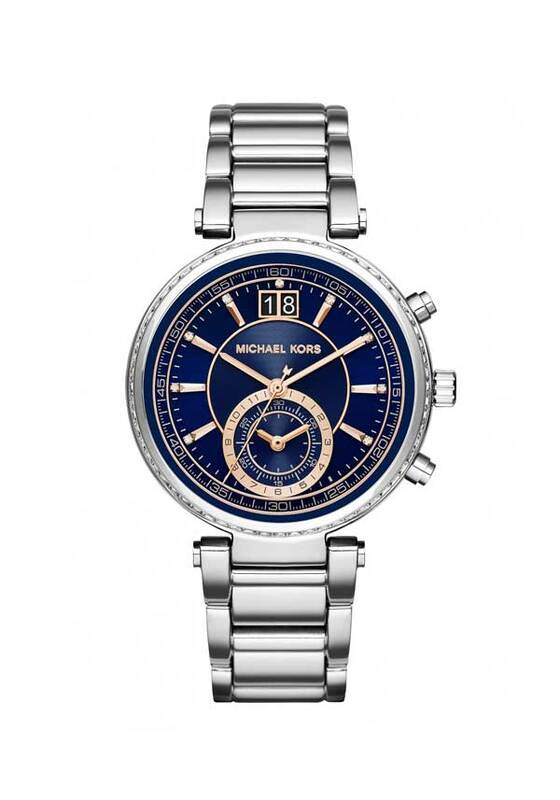 Featuring the Michael Kors logo around the face, a silver and rose gold link bracelet, and finished with a push clasp.